For the past couple of weeks, a Myst-themed game jam has been running. 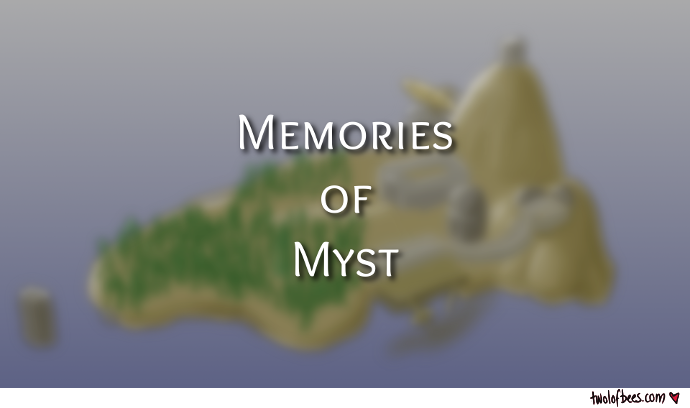 Since Myst has provided a little inspiration for some of my own projects, I thought it might be nice to pay homage more directly by creating a fan-game that re-creates some of Myst's scenes. I finished Memories of Myst with a bit of time to spare before the submission deadline and painted this splash screen, which I hope evokes a sense of nostalgia for a vague memory.